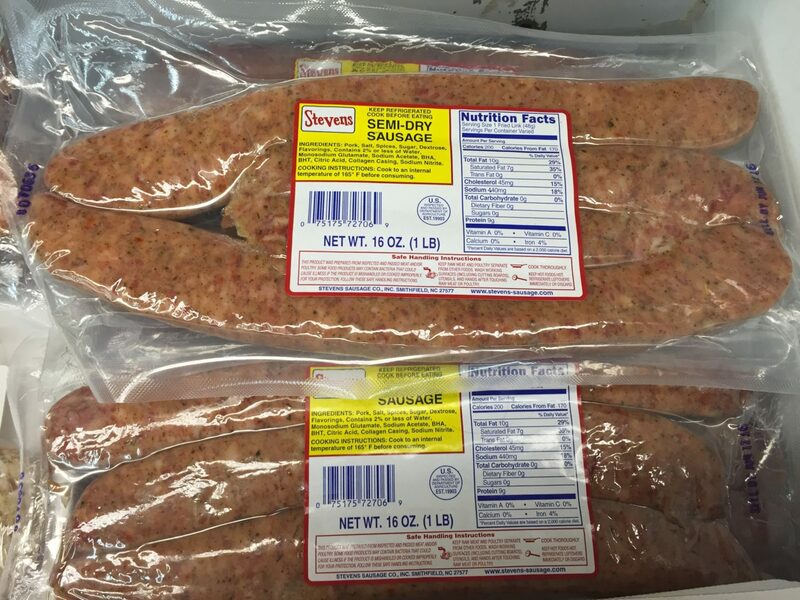 Stevens Sausage Co. carries a full line of products including country and spiral hams, hot dogs, chili, chitterlings, sausage, smoked sausage, and several ancillary or by-products such as hamhocks, turkey necks, fatback and pigtails. Please take a minute to look through and if you don’t see what you’re looking for contact us with any questions. 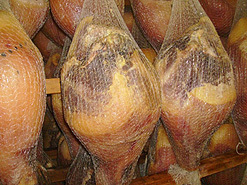 or get started with our hams section below..
A tasty choice for Southern favorites that include…. Buy a Whole Country Ham or a Box of Slices– We ship! Spiral Sliced ham is crafted from the finest quality bone-in ham, carefully trimmed and slowly hickory-smoked to perfection; then pre-sliced for your serving convenience, creating perfect slices every time….no mess, no fuss, no carving. Self-serving convenience for all. A centerpiece that is sure to please. Each ham is delivered with the golden honey-glaze and complete instructions for easy preparation. Want some country ham for a soup or casserole without investing in the whole country ham? We’ve got your solution! Already chopped ham bits ready to be added to your favorite dishes Stevens style. Check your local grocery stores for availability. 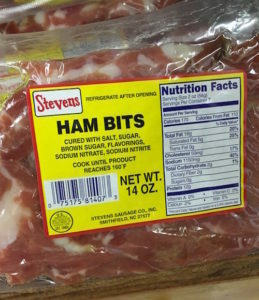 Stevens Ham Bits are the perfect solution! 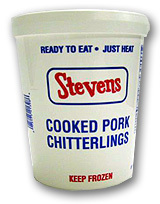 Chitterlings are a Southern tradition that are rapidly gaining a worldwide following. We are happy to dedicate a portion of our website to this delicious and much misunderstood Southern delicacy. 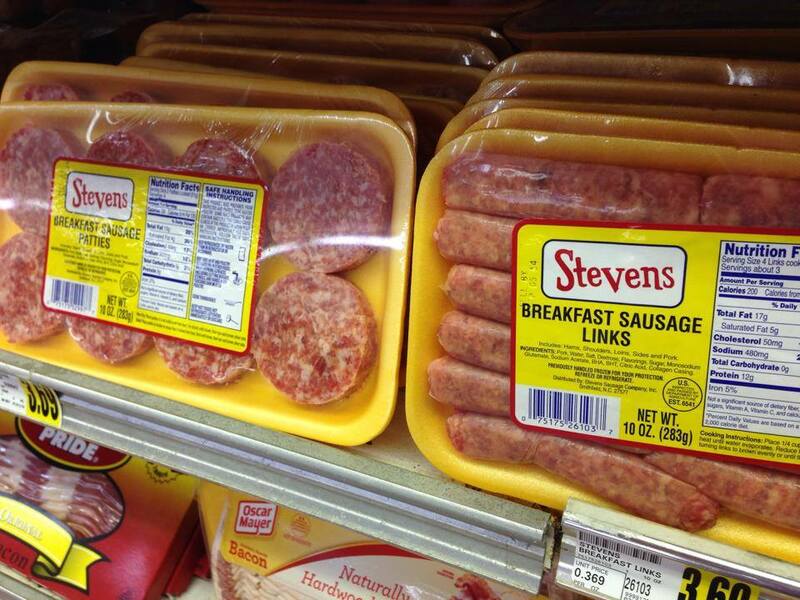 Stevens has a full line of sausage products including breakfast link and full link sausage, patties, semi-dry sausage, and smoked sausage. A breakfast staple for generations, our sausage is good enough to eat any time of the day. 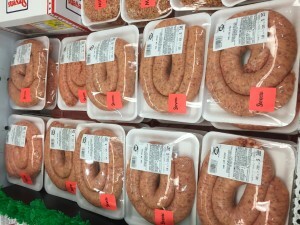 Our smoked sausage products are available in original or red and at different link sizes. 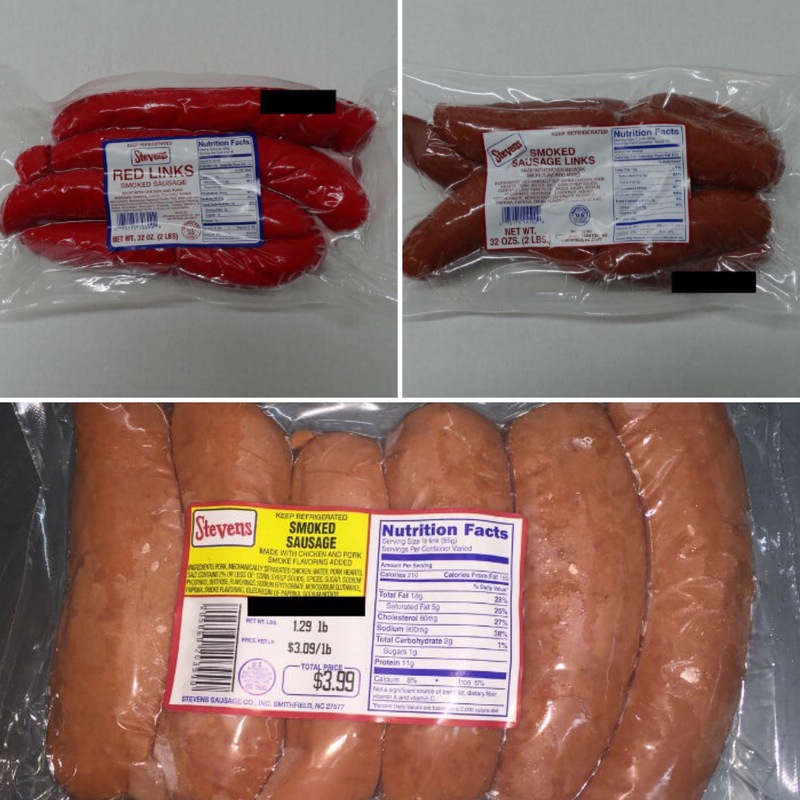 Our smoked sausage comes in three different packages all pictured below. Which will be your favorite? 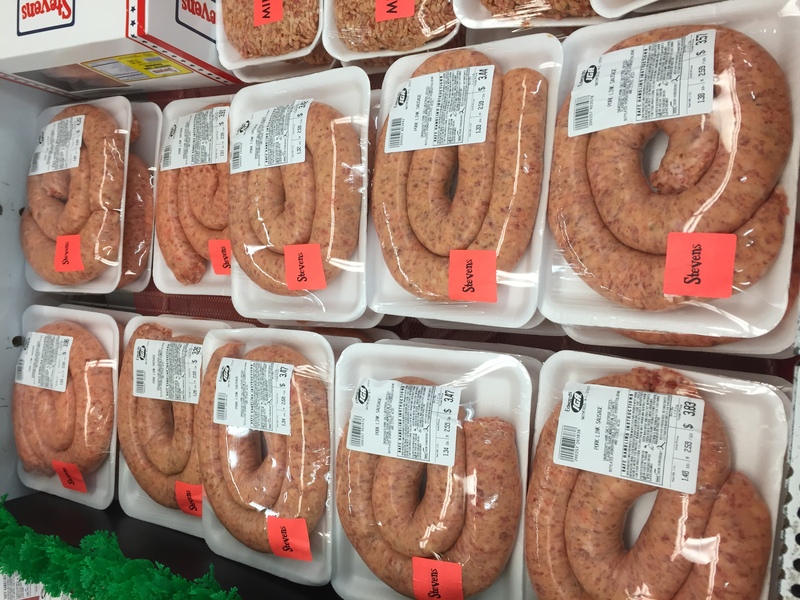 Click here to find some cool smoked sausage recipes from Stevens and the web. 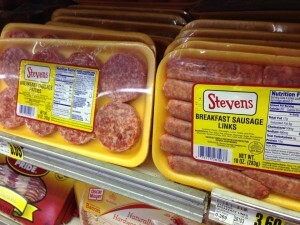 Stevens Hot Dogs are a great american staple to any cookout or recipe. 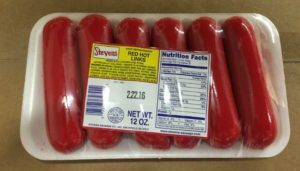 With that red color found in the Carolinas, Stevens Dogs can be purchased in 12 oz packs or 2 lb. bags. Check your local grocery store for availability. 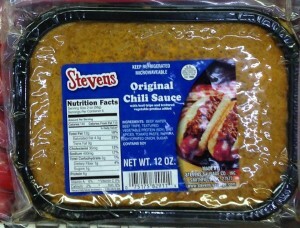 One of our fan favorites, Stevens Red Hots take a hot dog to a new temperature! Available in pictured packaging, check your local grocery stores for availability. 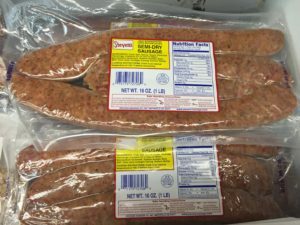 Stevens Sausage Co. makes an original chili with a one of a kind recipe. This chili is awesome on our hot dogs but you can use it on any and you won’t be disappointed. You may also choose to use it on a burger to go “Carolina Style”. Stevens provides Southern food staples to help season your sides or to use as a tasty stand-alone side itself. 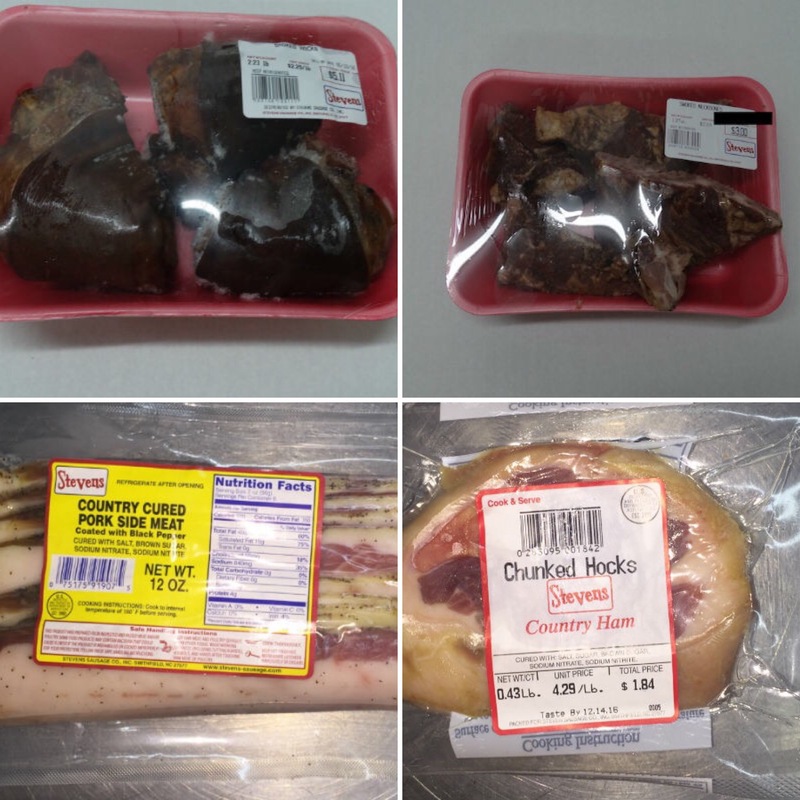 We sale Ham Hocks, Turkey Necks, Side Meat, and Pig Tails. Check your local grocery for availability.